A Life Bound By Books: Blog Tour Review - Game of Love By: Melissa Foster + A GIVEAWAY!!! 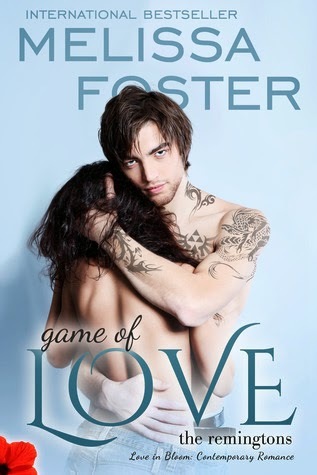 Blog Tour Review - Game of Love By: Melissa Foster + A GIVEAWAY!!! Synopsis: Ellie Parker is a master at building walls around her heart. In the twenty-five years she’s been alive, Dex Remington has been the only person who has always believed in her and been there for her. But four years earlier she came to Dex seeking comfort, and then disappeared like a thief in the night, leaving him a broken man. Review: 3 Stars - Game of Love by Melissa Foster is the first in a spin off series from her previous series. This has been my first time reading a title by this author and it can be read as a standalone which is extremely helpful knowledge to new readers like me. The story follows characters Ellie Parker and Dex Remington. They grew up together and took comfort in each other throughout many rough years during their younger lives. Being in the foster care system was hard on Ellie, so she worked night and day to not let anyone get too close. As the synopsis says she has been building walls around her heart and does it well, and all from a young age. Somehow she sees something in Dex and in turn he sees something in her and the two forms a quiet but comfortable bond. Dex has grown up in a strict family. His father is retired military and is stern to a fault, which has affected him since a young age. The comfort he is able to give Ellie he receives back and the two become inseparable… that is until they are forced apart. While I liked the story I was expecting something very different. I enjoyed both characters and I thought watching Dex in his career was entertaining and showed more of who he was. 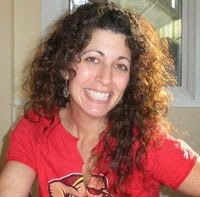 The same goes for Ellie and her passion for teaching and giving kids more. The ideas she has along with the possibility of these two characters coming together to figure out how to combine both of their passions, to make Ellie’s dream for giving more to not only the kids she’s teaches but many all around the US, was a huge driving part of the story. I liked them working together. I liked see how they think about more than themselves and I liked the possibilities these two could offer each other on a much larger scale. These two have issues together and apart that carries over many years and I kept waiting for more of a rocky ride because that’s how I could see this story playing out yet, I didn’t quite get what I was expecting and this one turned into more of a light read. It did have a couple steamy moments along with a few great on liners from supporting characters and one or two things that had me slightly worried but there wasn’t anything big that drove my emotions all over the place, so in that aspect it was lacking. In the end, fans of contemporary romance, quick reads and likeable characters will enjoy this one because this title fits all three! In the end I did enjoy the read and am looking forward to checking out the next book in this spin off series – Stroke of Love that just so happens to come out today! "In the end I did enjoy the read and am looking forward to checking out the next book in this spin off series – Stroke of Love that just so happens to come out today!" :D Thank you for your thoughts on GAME OF LOVE. Thanks Lisa - love the design of the site, it's so cute!